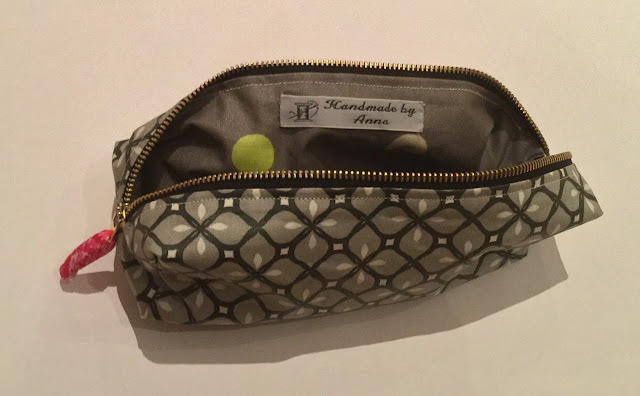 I always seem to have a million and one things that I'm supposed to be sewing, which means that when someone else asks me to make them something, or I want to make something for another person, I do have to ask myself if it really is going to happen... But, it is all about priorities, and although it meant taking a bit of time off from the project that I'm currently on, this was definitely worth it! 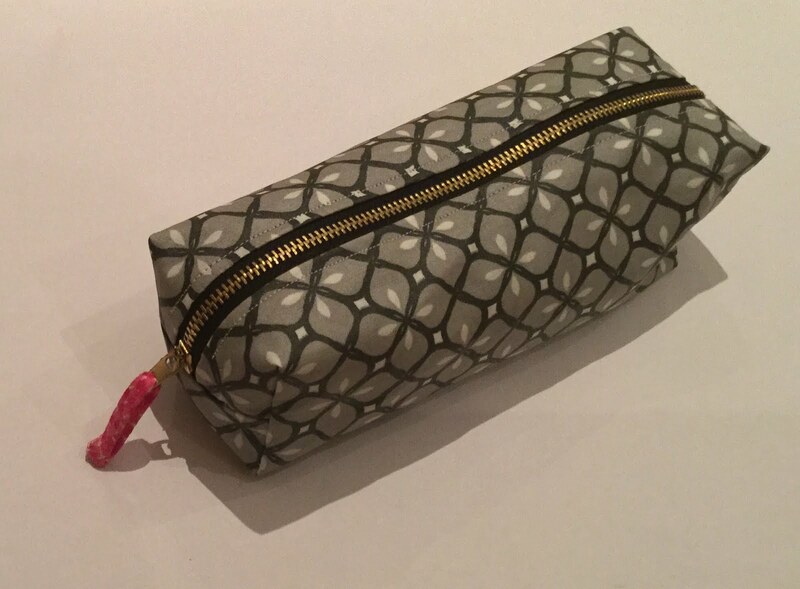 I made this pencil case for an old teacher of mine, and the project was quite special, so I wanted it to be just right. I feel confident making pencil cases now (this is my fourth!) so I was able to make this in a couple of hours, which is always a great feeling. The tutorial that I use is this one. I find it's really good, but I use my own measurements. These are: a 10" zip, 4 10"x5" pieces (2 outer fabric and 2 lining) and I box the corners in by 1". 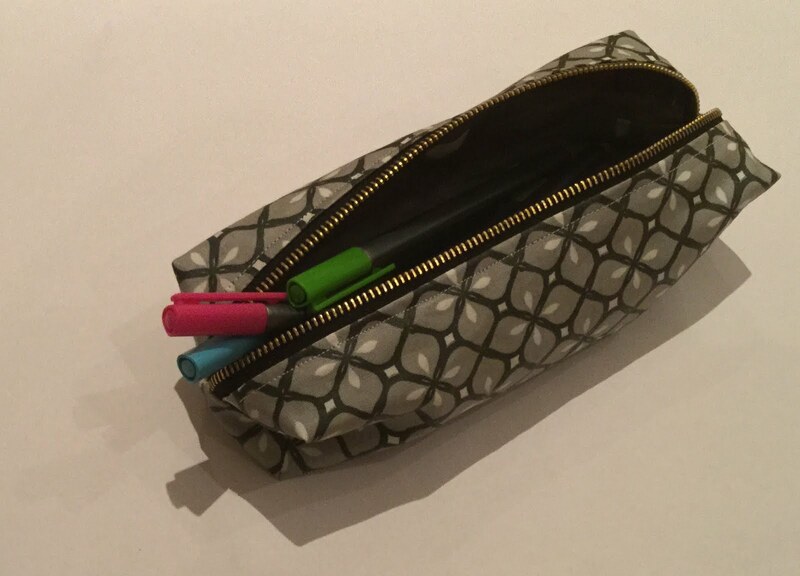 The pencil case comes together really speedily, but if you are making one, make sure you read the instructions twice! I would also recommend using the tutorial even if you know it by heart, as I have made mistakes despite having made so many. I chose some lovely grey fabric for the outside which I found in France. The fabrics that I've used are all water-resistant, and rigid enough to keep their shape. One thing that I love about using subtle colours is to add a pop of something bright! I've added in a bright pink zip tab on here. Another lovely thing about making this pencil case is that I was able to add one of my 'Handmade by Anna' labels! It was such a fun thing to do, the finish felt so professional too! Overall, I'm really pleased with this pencil case. It always feels really special to be able to give someone something you've made.